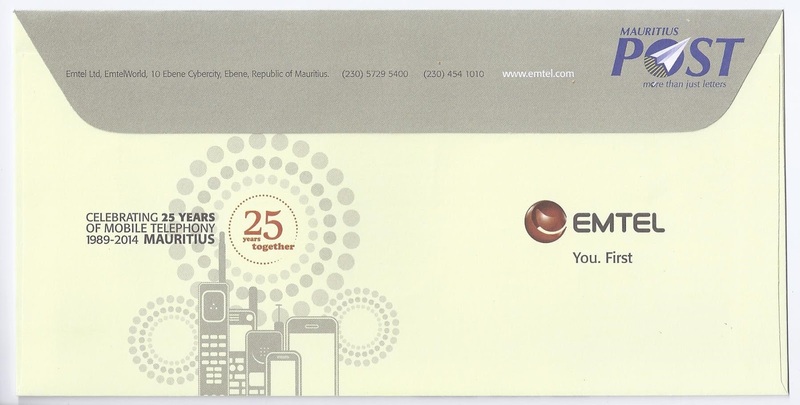 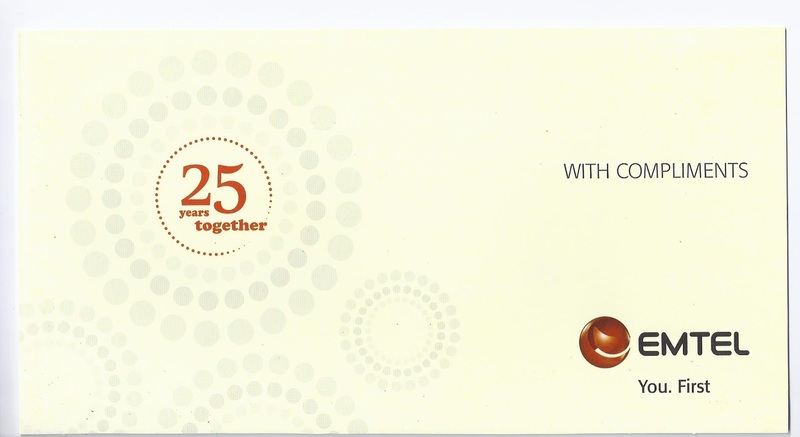 Emtel in collaboration with the Mauritius Post released on 29 May 2014 a Special Commemorative Cover to mark 25 years of mobile telephony in Mauritius. Following the first cellular service in September 1983 in the United States, Emtel, an international joint venture between Currimjee Jeewanjee & Co. Ltd., based in Mauritius, and Millicom International Cellular S.A., based in Luxembourg, became on May 29, 1989, the first cellular operator in Mauritius and the whole Southern Hemisphere. 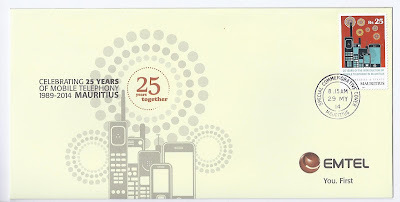 Cellular communication has played a vital role in the socio-economic and cultural development of Mauritius, by connecting the mainland to the outer islands of Rodrigues and Agaléga for instance. There are currently around 1.5 million cellular subscribers in Mauritius (accurate as at May 2014) for a population of 1.3 million inhabitants (2014 estimate). 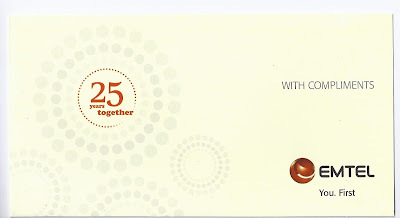 This Special Cover was a private issue.